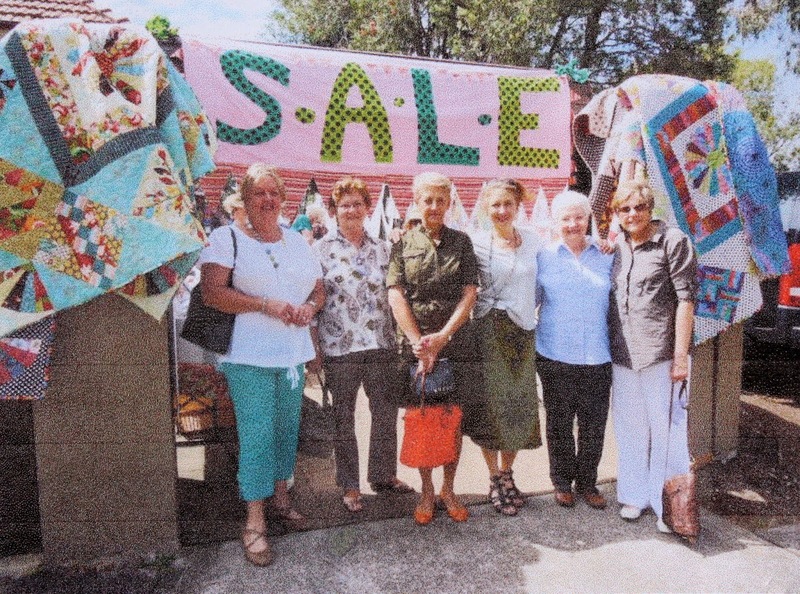 Material Obsession has been a stalwart supporter of The Quilters' Guild of NSW Inc. for many years and their Annual Swap Day is eagerly anticipated by many members. Please be sure to attend in plenty of time to sign up for their 2015 classes, as they all book out promptly. · a swap bucket for unwanted stash items and to invite other quilters to "swap" their unwanted stash items....a quilter’s dream … "one man's trash is another's treasure!" · all this stitched up with our new sewing partner, BERNINA! Notice from the Editor : The Quilters' Guild of NSW Inc. receives many requests to publish material of an Advertising or Business referral nature. Paid advertisements in hard-copy editions of The Template are the usual outcome of such requests. Due to unforeseen publishing problems this month, a commitment to include Material Obsession's announcement in the upcoming edition of The Template will result in the"Swap Day" information being published after the event. Thus, an extemporaneous solution has been to publish this information in 'Template Free' - the blog. – Art U Wear is a very special competition creating the perfect opportunity for textile artists, designers, students and anyone with a love of this medium to show off what they can do. Three winners will share in $5000 prize money. This is a judged competition in conjunction with FibreFest and Sponsored by Expertise Events Pty Ltd.
Judy Newman, Craft Consultant at Expertise Events asks the craft community to consider; “What does ‘Iconic Australia’ mean to you?" This theme should capture the imaginations of textile lovers across Australia and New Zealand and how it will be interpreted in wearable art, will make a stunning display. Winners and a number of other chosen outfits will tour various craft events around Australia until November, 2015. Meeting this Saturday : Change of "Guest Shop"